STI Education Services Group, Inc. (STI ESG) inaugurated two new academic centers in San Jose del Monte, Bulacan and Sta. Mesa, Manila on March 4 and 11, 2019, respectively. STI ESG invested nearly PhP1.3 billion for the two academic centers which can accommodate up to 15,000 senior high school and college students in various tracks and courses starting school year 2019-2020. The inauguration is part of the networkâ€™s continuing expansion plan in key locations nationwide to widen its reach and provide world-class education across the nation. â€œIn our pursuit of academic excellence, we constantly upgrade our campuses to deliver our promise and expand our geographical coverage to make real life education more accessible for the Filipino youth,â€� said STI President & COO Peter K. Fernandez. 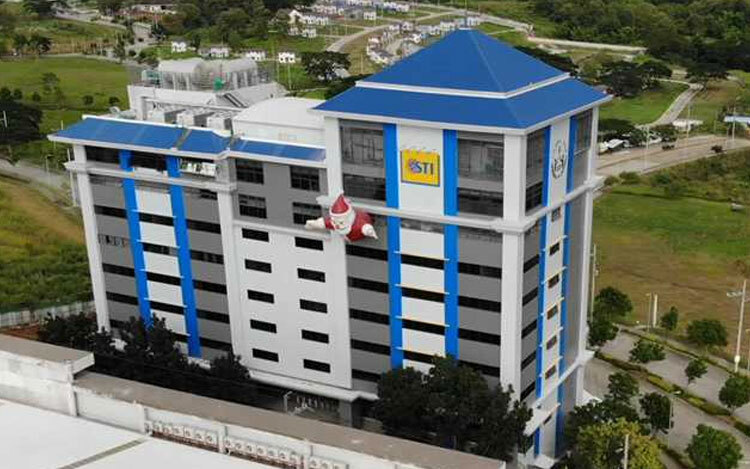 With an estimated value of PhP727 million, the 11-storey STI Academic Center Sta. Mesa, with roof deck, is located along P. Sanchez Street, Sta. Mesa in the City of Manila and can accommodate 9,000 enrollees. On the other hand, the nine-storey STI Academic Center San Jose del Monte, with roof deck, has an allotted budget of PhP558 million and can house 6,000 students. It is seated on a 4,178-square-meter lot area at the Altaraza Town Center, a 109-hectare master planned urban community by Ayala Land, located along Quirino Highway, San Jose del Monte City, Bulacan. Aimed to provide venues for training students on relevant skills, knowledge, and character needed in todayâ€™s world, the new campuses are equipped with state-of-the-art facilities including air-conditioned classrooms with flat screen TVs, industry-grade laboratories, simulation rooms, up-to-date libraries, and sports facilities, among others. Both campuses offer senior high school tracks and tertiary courses in Information & Communications Technology, Business & Management, Tourism Management, Hospitality Management, Arts & Sciences, and Engineering. Just recently, STI ESG has acquired NAMEI Polytechnic Institute (NAMEI), an educational institution founded in 1947 by naval architect and marine engineer Don Felix B. Padilla, the first Filipino graduate of Massachusetts Institute of Technology. Throughout its 72-year run, NAMEI has produced topnotchers in the Naval Architect and Marine Engineer Licensure Board Exams. NAMEIâ€™s legacy in developing naval and maritime professionals of high caliber continues in the new Center for Maritime Studies in STI Academic Center Sta. Mesa where programs in Maritime Transportation, Marine Engineering, and Naval Architecture will be offered. The entry of STI ESG into NAMEI aligns with STIâ€™s industry-responsive approach to building new paths and creating more opportunities for the Filipino youth. The acquisition is a strategic move to boost the institutionâ€™s range of programs that emphasize academic excellence, and practical and industry-driven skills that will produce more world-class professionals in various fields. STI Academic Centers Sta. Mesa and San Jose del Monte are the newest additions to the growing number of STI Academic Centers in the country. These include campuses in Lipa, Batangas, Las PiÃ±as, Calamba, Cubao, Lucena, Caloocan, Ortigas-Cainta, Novaliches, Fairview, Naga, and Global City.